Foreign Secretary Vijay Gokhale visited Beijing and held talks with Chinese Foreign Minister Wang Yi and discussed a range of issues amidst continuing tensions in bilateral ties. The visit of Gokhale, who was also the former Indian envoy to China, was announced today by the Indian Embassy here through a tweet. 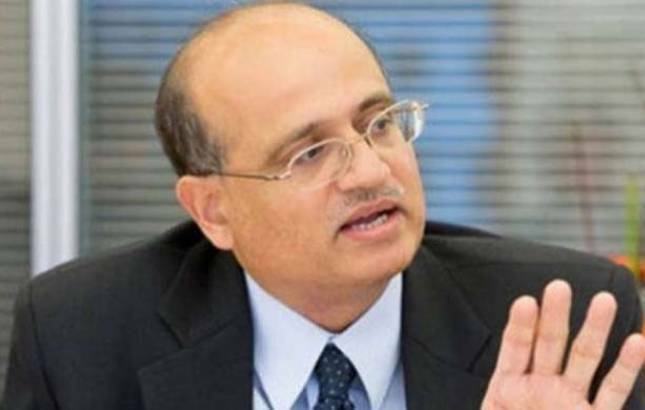 "Foreign Secretary Vijay Gokhale is visiting China to discuss the bilateral agenda, exchange plans and visits for 2018. He met with FM Wang Yi on February 23," the tweet said. The Chinese Foreign Ministry issued a statement late last night on Gokhale's talks with Wang. Wang said that the two sides should enhance strategic mutual trust and accelerate common development in line with the political consensus of the leaders of the two countries, according to the statement. "We hope that the Indian side will handle sensitive issues prudently and work with China to promote the sound development of China-India relations," Wang said, apparently referring to a host of sensitive issues between India and China, including the current political crisis in the Maldives. China and India are both representatives of emerging markets and big developing countries, Wang said, adding that commonality cannot be replaced. According to the press release, Gokhale said he was pleased to visit China at the very beginning of his term. Gokhale succeeded S Jaishankar as foreign secretary last month. Prime Minister Narendra Modi is expected to visit China in June this year to take part in the Shanghai Cooperation Organisation (SCO) summit to be held at Qingdao city. The visit of Gokhale, who reportedly held the key negotiations to resolve the 73-day standoff at Dokalam, came in the backdrop of difficult bilateral and trilateral issues being dealt with by the two countries. The Dokalam standoff ended on August 28 after the Chinese military stopped road building close to the strategic Chicken Neck corridor in an area claimed by Bhutan. Besides the tensions along the 3,488 km long Line of Actual Control (LAC), the two countries faced a range of issues, including India's objection to the USD 50 billion China-Pakistan Economic Corridor, China blocking efforts at the UN to list JeM chief Masood Azhar as a global terrorist as well as India's entry into the Nuclear Suppliers Group (NSG). The current political crisis in the Maldives also emerged as an irritant in bilateral ties. The Maldives was plunged into a crisis when President Abdulla Yameen declared a 15-day emergency on February 5 and ordered the arrest of the Chief Justice and a former head of state after the Supreme Court termed "unconstitutional" the imprisonment of nine MPs and former President Mohammed Nasheed. China which has made large-scale investments in the Maldives, called for the crisis to be resolved by relevant parties internally and opposed any external intervention. Beijing also opposed to even UN mediation to resolve the crisis. Former president Nasheed, who is currently in exile in Sri Lanka, however, had called for the Indian intervention to resolve the crisis.